Nigerians are wondering if there are any honest politicians that have honor and integrity in this oil rich Nation. 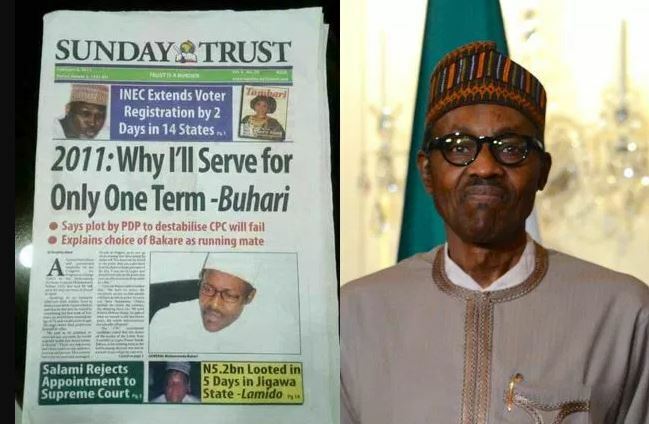 Here is a throwback of when Buhari said he will serve run for only one term. He has however declared his intention to contest for a second tenure.